The recognition of the democratic rights of Samoa’s marginalised and vulnerable groups took a major step forward the other day. For the first time in the country’s electoral process, eligible voters with disabilities as well as senior citizens, will be able to cast their votes prior to the date of an election or a by-election in Samoa. 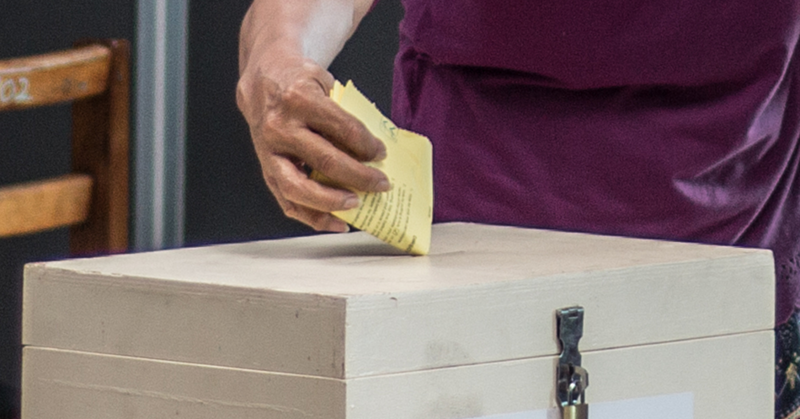 The announcement of the pre-polling service – for the Fa’asaleleaga No 2 by-election – was made in the yesterday’s edition of the Samoa Observer. The story titled “Fa’asaleleaga No 2 By-election pre-polling begins” quotes the electoral commissioner, Faimalomatumua Mathew Lemisio. The Fa’asaleleaga No 2 constituency has become the first in Samoa to offer a pre-polling service, to eligible voters living with a disability and senior citizens. The service ensures everyone gets an opportunity to cast their vote, even senior citizens who will have difficulties accessing the polling venues, when the by-election gets underway. Faimalomatumua told the Samoa Observer that those entitled to cast their votes through pre-polling include voters who are 65 years old and above, voters with disabilities and those migrating overseas on election week. Faimalomatumua said there are around 400 voters who have attained the age of 65 and above. Top marks to the Office of the Electoral Commissioner and Faimalomatumua, for all the behind-the-scenes work to ensure Samoa’s marginalised and vulnerable – who are eligible to vote – are able to exercise their democratic rights in an election. It will be good to get some statistics later from the Office of the Electoral Commissioner, which would show how many eligible voters – in that category of people – exercised their rights of universal suffrage. The Ministry of Women Community and Social Development (MWCSD) in 2014 published its Samoa Disability Sector Profile and Directory. The report stated that the number of Samoans living with disability remains unknown. However, it made reference to the 2011 Census which highlighted 4,061 people who identified as having “any disability”. Hopefully, some of those 4,061 people – who identified as having a disability – will be able to exercise their rights when the 2021 General Election comes around. Like the elderly from the ages of 65 or more, it is also their opportunity to participate in the democratic processes of this country. In December 2016, the United Nations (UN) in Suva, Fiji announced that the Governments of Samoa and Micronesia ratified the Convention on the Rights of Persons with Disabilities (CRPD), with the United Nations Human Rights Office commending both nations on their ratification. Two years after the ratification of the CRPD, an arm of the Samoa Government Samoa has kicked another goal, in its strive to empower the marginalised and vulnerable members of the community. While we look forward to seeing Samoa kicking more of those goals, we note with concern the plea from Journalists Association of Samoa (JAWS) president Rudy Bartley, to the Speaker of Parliament, Leaupepe Toleafoa Faafisi. Mr. Bartley has asked Leaupepe to reconsider the protocols that the Speaker’s Office has imposed on the media, which barred the media from filming and taking photos while the Parliament is in session. Early this week the Legislative Assembly, when advising of the Parliament agenda, notified the media that the taking of photos and videos in the House while it is in session is now prohibited. “An area for the media is set outside the Maota Fono where cable can be hooked on for live feed. Photos will be taken by the Office of the Legislative Assembly and will be made available on our Facebook page immediately after the sitting," the notice from the Office of the Speaker stated. However, when the Parliament convened yesterday these media services were not available, and Parliament staff referred reporters to radio 2AP for audio. Mr. Bartley, who was disappointed in the turn of events at the Parliament yesterday, said the media industry was not even consulted on the new media protocols laid down by the Office of the Speaker. Echoing what the JAWS president said and given the Parliament House was only opened last week, we believe the the media industry and the Office of the Speaker are currently experiencing “teething problems” in their relationship, which can be resolved for the benefit of both stakeholders. Politicians and journalists have a special relationship. As legislators you make important decisions and implement policies on behalf of the public who gave you the mandate, and as journalists it is our job to scrutinise those decisions and policies and report back to the very people who gave you that mandate. Have a wonderful Wednesday Samoa and God bless.